I’ll Be On With Parker J. Cole Tonight! Lies do more than just hide the truth. They do more than just hurt other people. They eat away at you, consume you until there is nothing of the real person left. With an utterance, they dig their way into our bodies, festering and growing like a sore that won’t heal. Lies are predators. They come in many forms. We tend to associate lies with a person. Yet, these insidious parasites attach themselves to us any way that can. They can attack our sense of beauty. Both men and women are the intended victims. What are some of the things we are willing to do to be the handsomest, the strongest, the prettiest? This desire to be perfect in an imperfect world leads to a host of problems that plague us. 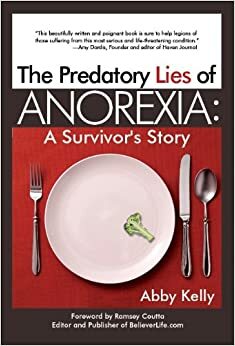 Join me as I sit down with Abby Kelly, author of the book, The Predatory Lies of Anorexia: A Survivor’s Story as we talk about this topic. You can call in at 646-595-2083, press 1 to be live on air. Or you can download the WLUV radio app. Anyway you can, join us. Or follow this link! See you tonight! what time zone is that on? oh, I haven’t bought your book yet, I’ll have to wait til next month when i get paid again. but I will.